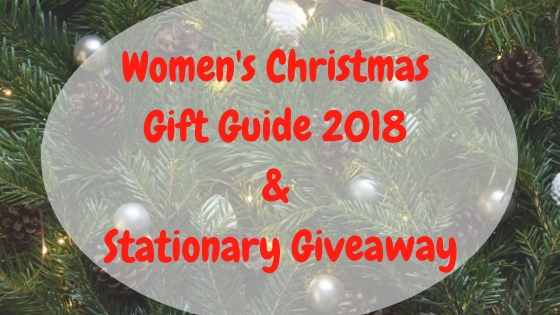 I’ve put together a Men’s Christmas gift guide for 2018, collaborating with some fantastic brands to find unique gifts for men. I’ve also decided to treat one lucky winner to a £25 Amazon gift card too so make sure to enter below! Do you have a man in your life who loves a full drinks cabinet? A Craft spirits members club, The Summerton Club brings you a unique subscription service. A great gift idea for spirit lovers at £50 per delivery with free delivery. The Summerton Club brings you exclusive first tastes of high-quality spirits. They offer a range of options from monthly, bi-monthly and quarterly subscriptions. You can also opt to only receive Whiskies. I was sent their October Bottle of the Month, Mackmyra Gruvgold Swedish Single Malt Whisky. A well-aged spirit currently unavailable in the UK! Gruvgold meaning ‘Gold from the Mine’. A wonderfully smooth Swedish Single Malt Whisky aged in a variety of small casks. Casks used include Olorosso, Bourbon, Sherry and Swedish oak, 50m below ground in the Bodas Mine. Want a truly unique gift? A Greater Skies Personalised Star map Print is a Star map of the sky above a certain location on a specific day! Perfect for friends, family or your partner. I had this Mulberry Personalised star map Print framed for a friend. You can pick from 5 different colours on this specific map. It shows the Star map for his birthday, you could choose any special date to fit. You can add a title and up to five lines of text to your personalise star map. You can choose to instantly download and print a star map for yourself or you can have it printed for you for an extra cost. Costs vary depending on size, style and if you would like your print framed. A genuine leather beer holster is perfect for keeping hands free. A water-resistant gift for any beer lover. This fab holster fits on any belt up to 4cm wide. This fun Magnetic Beer Tree is great for Men who love funky bottle tops! Holding up to 60 bottle tops at one time, you can now safely store favourites. This could be used for anything metal so if you know a guy who loves to collect anything like this it will make a great gift too. As promised, one lucky winner will win a £25 Amazon gift card, so get entering the Rafflecoptor below. There are fantastic Children’s Christmas gifts available and I’ve rounded a few up for you! I tend to steer away from the top toys each year, some are fantastic but can cost a fortune and end up untouched. Here are a few gifts I know will get used! All gifts are suitable for 4+. I know I’m not the only parent who’s children have to do some homework online. It can be tricky on smaller tablets to see the full web page on certain homework sites. This 10.1 inch tablet is the perfect size and budget friendly! Running android 8.0 you can play the latest games and apps on a full HD screen. It has 16GB expandable memory, up to 9 hours of battery life and a 5MP camera. This fab tablet even comes with Microsoft office mobile suite, perfect for doing homework. I recently reviewed My Mood Stars from Wendy Woo along with a book & tooth pocket. I think these would make great children’s christmas gifts! My Mood Stars is a fantastic toy designed to encourage children to understand feelings. This fun, interactive Velcro board and Mood Stars help children think about other peoples feelings as well as their own. For children with Autism or Asperger’s this product can help them associate feelings with facial expressions they otherwise may struggle to understand. This makes a great gift for children of any age. Check out my full review here to find out more. A more traditional gift that is bound to get used is this fantastic friendship bracelet kit from Find Me A Gift for just £8.99. Suitable for 8 years and up this is a fun gift that comes with all you need to create colourful friendship bracelets. This kit also comes with a pattern book to help you get started. DVD’s make great stocking or Christmas Eve box fillers. I include Christmas DVD’s in the girls Christmas Eve boxes every year which they love to watch snuggled up with a hot chocolate. Here are 3 Christmas films that would make a great gift. The mean, green, Grinch tries to stop Christmas in Whoville! After trying to steal all the presents and decorations on Christmas Eve the Grinch comes to learn the Christmas spirit is more than just tinsel and toys. Based on the quirky, well-loved book ‘Dr Seuss’ How the Grinch Stole Christmas’. A genuinely funny film starring Jim Carey with a heart-warming storyline. Poppy, queen of the trolls discovers the Bergen’s no longer have any holidays on their calendars. Along with the rest of the Trolls gang, poppy tries to fix something the Bergen’s had no idea was broken! This film is bound to get any child up and dancing on their feet, a perfect stocking filler. A magical musical adapted from Raymond Brigg’s classic picture book is a firm family favourite. This beautiful film tells the story of a boy whose snowman comes to life at midnight! Capturing the imagination of generations this film continues to enchant and is a Christmas film must have. Perfect for a Christmas eve box! Another great stocking filler DVD is less Christmassy but just as magical! Any Harry Potter lovers will be spellbound by this Harry Potter: A History Of Magic. Ink & Tot create unique personalised prints like this stunning book cover! Perfect for book lovers looking to write their own short stories. A perfect stocking filler or Christmas Eve box gift, this Rudolph heat change mug is only €14.95 from CoolGift.com. Children will love to snuggle up with a film and a nice hot chocolate watching Rudolph’s nose glow red when hot! Perfect for Unicorn fans, this cute mug changes colour when filled with hot liquids! Add an extra touch of magic to those Christmas hot chocolates watching the mane turn from purple to rainbow! I LOVE Halia Rose children’s jewellery. They make fantastic gifts all year round including Christmas! We already have the rainbow necklace Eva received for her birthday, which she loves and the Yellow star necklace is just as lovely. Made from food grade silicone & BPA free. They are safe and non–toic, perfect for children. Easy to clean withsoapy water or in the dishwasher under 65. This Material Culture has a range of unique jewellery gifts, handmade in Liverpool. I love this Harry Potter Necklace, it is a great stocking filler for any Harry Potter fan! These fab books have everything you need inside to help children in their chosen role. Izzy loves to bake and cook, she loves visiting local cafes and we were kindly sent the Café pack which I know will get so much use! We absolutely love Wannabees Role Play Packs, you can be a Doctor, Café Owner or a Teacher! We have the Teacher role pack and the girls have used it quite a bit. The Playbrush Smart Sonic is an interactive toothbrush for children 3+ with extra soft brush heads. This playful toothbrush connects via Bluetooth to iOS/Android so you can play motivational games controlling the brushing movements. t. Unique technology measures and gives feedback on brushing accuracy, speed, pressure, position, frequency and duration. This then provides audo feedback and evaluates the brushing reults for parents through statistics. Personalised gifts are great and this one is perfect for young children learning to spell and recognise their own name. 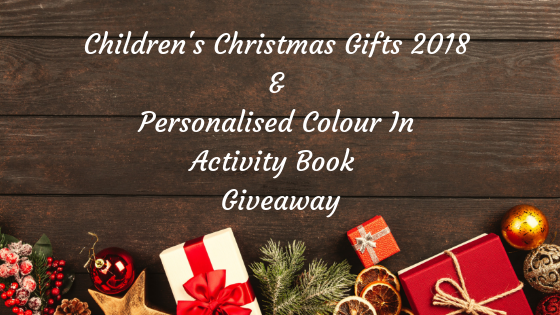 With 34 pages of fun activities and their name on each page to colour in or trace, this is a unique and fun gift. You can also add a personal message to the activity book to make it extra special. Enter the Rafflecoptor giveaway below for a chance to win one of these lovely activity books yourself. The winner will be contacted within 24 hours to provide personalisation details and delivery address which will be passed on to The Personalised Gift Shop to dispatch your prize. *Most of these items have been gifted in exchange for a feature but all opinions are my own. We received a Unicorn & Rainbows Craft box from Squidgydoodle to try out. Each box comes with 4 themed crafts, the girls loved the Unicorn & Rainbows Crafts. Debbie who runs Squidgydoodle lovingly hand-makes each box. From as little as £2.75 for a mini box there are several different craft boxes including party boxes! Something I know my girls would love to! Our Unicorns & Rainbows craft box contained 4 fun crafts for the girls to do including Unicorn Slime, Unicorn Crown, Rainbow Scrape Painting & a Rainbow Rain Unicorn. These crafts are quite different from the typical craft boxes we’ve received. I love the theme and uniqueness of the crafts. Eva wanted to do the Rainbow Scrape Painting but decided to do things a little differently but still ended up with a lovely colourful rainbow picture. Using the rainbow template, Eva used the paints to create a colourful rainbow and surrounding leaving a white cloud & rainbow print. Izzy wanted to try the Rainbow Rain Unicorn craft first. This is a lovely simple craft perfect for any age. Simply mix water with a drop of paint supplied (any colour you like, or mix your own!) and collect it up with the pipette. Then squirt the watered paint all over the card, letting it drip down to create cool patterns. Once finished, remove the unicorn to leave a unicorn silhouette in a colourful background! Eva loves to make slime so she chose to make the Unicorn Slime. We mixed all the ingredients but we couldn’t quite get the right consistency but it was still so much fun getting messy and watching the colours mix. I’m sure if we tried this again the slime would turn out better but we added to much water! 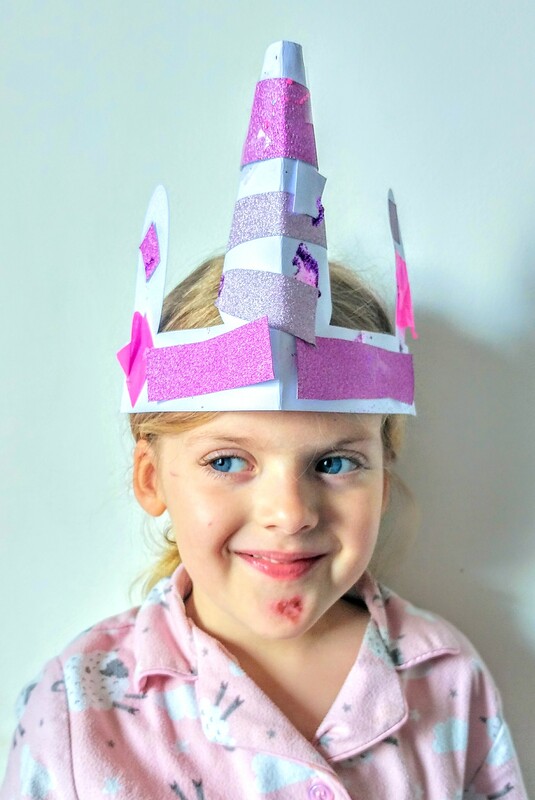 Finally, Izzy made the Unicorn Crown using the items supplied including pink glitter glue, sheets of glittery card, coloured tissue paper and glitter! Everything you need to be a sparkly unicorn. Izzy really enjoyed this craft and had loads of fun cutting and sticking things on to her Unicorn Crown. Once she was finished we rolled up the Unicorn horn and taped it together. We then added elastic and Izzy had a fab Unicorn Crown to wear! As a family we LOVE crafts, there simply isn’t a day that goes by without one of the girls cutting, sticking, drawing and creating. Whilst I do like craft boxes I tend to find they are a little too restrictive. Squidgydoodle craft boxes are much more fun and lets you vary the crafts slightly. This is always a win as kids aren’t always fond of sticking to the rules! We love Squidgydoodle and I’ll be ordering more boxes myself for the girls. As promised, the lovely Debbie at Squidgydoodle has provided you lovely readers with a 10% off code. If you fancy trying out a craft box yourself then enter PURPLE when ordering online. This code is valid until Midnight 8th December! What do you think of Squidgydoodle? Will you be trying out their craft boxes? The most amazing Halloween Melts arrived last week from Geeky Melts for me to review. Melts are simply placed in an oil burner instead of oils and they release scents as they melt. I tend to find Melts a little pointless BUT there’s something very calming watching bones and skulls slowly melt. I think I finally understand the fascination. Geeky Melts have so many different amazing designs available for every occasion. I was kindly sent 4 pots to review with a mixture of melt designs and scents and I truly love them all! Laura at Geeky Melts hand pours every wax melt and they start from as little as £1.50 (+P&P). The First pot contained Black & Red Dark Mark Skulls, and Mini Heart Melts with a Black Rose and Oudh scent. This is my favourite scent by far and I really enjoyed watching the skulls melt away. The next pot contained a gorgeous Melon and Cucumber scented White Glittery ‘Dead Flower’ Melt. I love how fruity this scent is, it really makes the room smell lush! I love the designs in the third pot these 3D Melts are amazing in blue with a hint of red on 2 of the melts. With a refreshing Rock Salt and Drift Wood scent, these are seriously cool melts. Who doesn’t love the smell of fresh linen? The final pot contained a mix of Fresh Linen scented Hearts, Skull & Bone Melts. I really do see the interest in wax melts now, they make your home smell amazing. They are fascinating to watch melt & rather calming too. I love how much detail has gone into making these melts from the colours, sparkle and scents, they are fab! I’ll be treating myself to more from Geeky Melts very soon for myself and as gifts for Christmas. There are a range of different designs and scents to choose from at Geeky Melts to suit everyone. Do you like wax melts? What do you think of Geeky Melts?